Ulster Rugby have confirmed their hopes to bring New Zealander Stephen Donald in on a short term contract to the end of the season have been dashed. 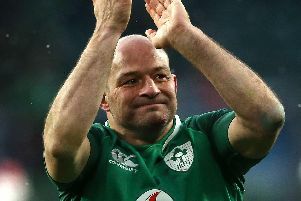 The 2011 World Cup winner had been set to join the Irish Province as outhalf cover to replace Christian Leali'ifano who played his last game with Ulster yesterday. Following rumours at the weekend that Donald had picked up an injury with his Japanese club side, Ulster confirmed he would not now be joining the club. In a statement issued on Monday morning Ulster Rugby said: "Unfortunately, Ulster Rugby is not in a position to proceed with the signing of Stephen Donald, after receiving a medical report on the player yesterday (Sunday). "Stephen had agreed a short-term deal to join the Province, but he sustained an injury while representing his club in the final game of the Japanese season, which will rule him out for 4+ weeks. "The timeline now makes it very difficult to find a suitable replacement, but we will continue to monitor the market."